The division of a columnof ω are in the third grade of primary school. Adult it seems that there is nothing complicated there. But the child may not understand the material in class or miss lessons because of illness. Then the task of parents – the most comprehensible way to convey information to the little one to the gap in school not worse. Show tact and patience, because simple things are always very difficult to do the first time. First, check the child's skills in multiplication. If the child unsteadily knows the multiplication table, the division he, too, can be a problem. Then in the explanation of the division can be allowed to peek into the crib, but the table still have to learn. Start with the simple division of the number by a digit. Verify that the answer was no residue, otherwise the baby may become confused. Take, for example, 372 and ask to split into 6 parts. Write the dividend and divisor through the separating vertical line. Under the divider you will write a response - private, separated by a horizontal line. 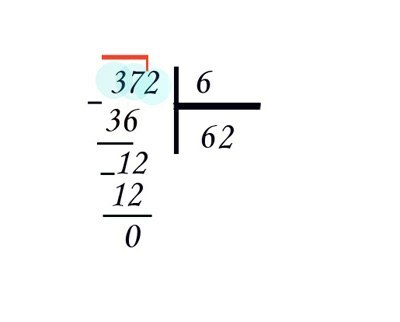 Take the first digit of the number 372 and ask the child how many times the number six "fits" in the top three. Right, not at all. Then take the two numbers is 37. For clarity, we can distinguish them in the area. Again repeat the question – how many times the number six contains 37. To count quickly, handy multiplication table. Pick up the answer together: 6*4 = 24 – very unlikely; 6*5 = 30 is close to 37. But 37-30 = 7 – six "fit" again. Finally, 6*6 = 36, 37-36 = 1 – suitable. The first digit of the private – 6. Write it under the divisor. 36 record under the number 37, move feature. For clarity in the record, you can use the minus sign. Below the line put the remainder of – 1. Now "down" the next digit of the number, two, to unit – turned 12. Explain to your child that the numbers are always "down" one. Again ask how many "sixes" contains 12. The answer is 2, this time without a trace. Write the second digit of the private next to the first. The final result is 62. Also consider the case of division with remainder. For example, 167/6 = 27 and the remainder is 5. Most likely, your offspring about simple fractions have not heard anything. But if he's going to ask questions, what to do with balance then, you can explain on the example of apples. 167 apples divided among six people. Everyone got 27 pieces and five apples left unshared. You can divide and cut each into six slices and distributing equally. Each person got one slice from each Apple – 1/6. And since apples had five pieces, and the slices each was five or 5/6. That is, the result can be written as: 27 5/6. 1) the First digit of the dividend contains the divisor. For example, 693/3 = 231. 2) the Dividend ends in zero. For example, 1240/4 = 310. 3) the Number contains a zero in the middle. For example, 6808/8 = 851. In the second case, children sometimes forget to add the last digit of the answer is 0. And in the third, sometimes, jump through zero. The division is always useful - this way you can find the remainder of an integer division, and to bring the fission process to the desired decimal place. Let's start with the recording of dividend and divisor. First recorded dividend, his right to spell the divider that separates the area. 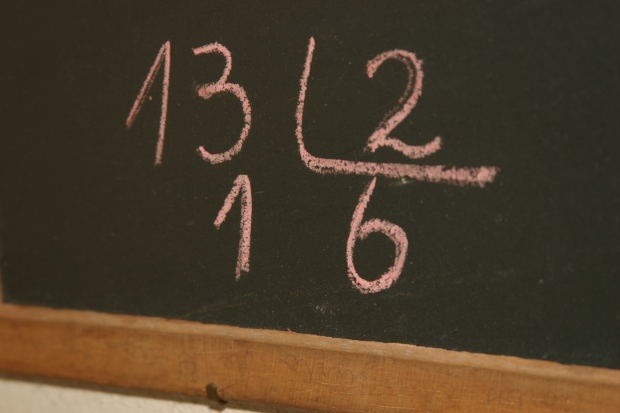 Now we have to determine the partial dividend, is a number formed by several successive digits of the dividend. To do this, consider the dividend, starting with the high-order digits, the first digit then the number formed by the first and second digit, and so on, as long as the partial dividend will not increase the divisor. Figure out how many times the divisor is contained in the divisible incomplete, and write this number under the divider. It is multiplied by the divisor and subtract from the resulting partial dividend. If you picked the right number, the remainder is less than divisor. If you made a mistake and got a remainder greater than divisor, then increase this number by one, two, and so forth, like in normal division. Carry the remainder of the previous division next digit in the original dividend and continue the division. 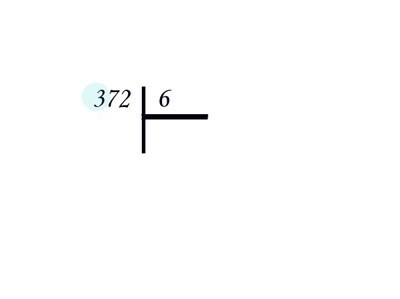 In our example, this step can be finished integer division and write the answer in the "56-point-23/25". If you want to continue to divide, it is necessary not to forget to put a comma in the resulting private. Demolition to the remainder of the digits after the decimal point. In the example, an integer, therefore, carry the zeros. Continue dividing in the same way, until we get a zero remainder. Now you can record the answer "56,92". In some European countries use a different designation. 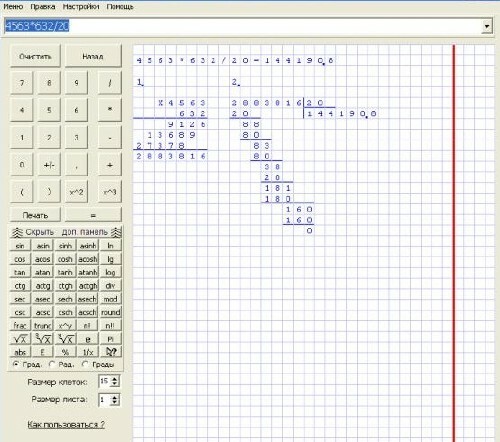 The calculation is the same but is written differently. The process of division in a column is the sequential execution of elementary arithmetic operations. To learn how to divide in a column, you just need to practice it a few times. The algorithm of dividing in a column let us look at the following examples - divide in a column of integers with no remainder, remainder and fractional numbers represented in decimal. - a sheet of paper in a cage. Division without a remainder. Divide 1265 55. Swipe down short vertical line with a height of several cells. From this line a perpendicular swipe to the right. It turned out the letter "T" piled on the left side. Above the horizontal part of the sunken letter "T" spell a divider (55) and to its left in the same place, behind the vertical part of the T – divisible (1265). Usually, the dividend is first written, and then put a division sign in the column (filled up one side with the letter "T"), and after the divider. Determine what portion of the dividend (counting from left to right the highest level) is divided by the divisor. That is: 1 55 no 12 55 – no, 126, 55, Yes. The number 126 is called incomplete severable. 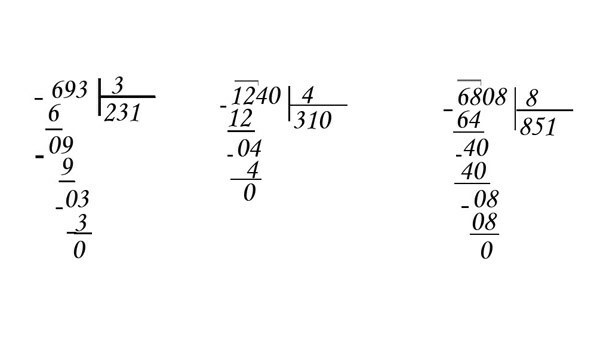 Think about the mind, for what number N you need to multiply the divisor to get the number equal to or as close as possible (but no more) to the magnitude of the partial dividend. That is: 1*55 – is not enough, 3*55=165 – a bit too much. So, our choice is number 2. Write it under the divisor (below the horizontal part of the sunken letter "T"). Multiply 2 by 55 and write down the resulting number is 110 strictly under incomplete digits of the dividend left – to-right: 1 under 1, 1 under 2 and under 0 6. Top 126, bottom 110. Spend under 110 short horizontal line. Subtract 126 from the number 110. Received 16. Clearly write down the numbers one below the other under the drawing line. That is, from left to right: number 1 number 110 is empty, the numeral 1 – 1, and the numeral 0 – 6. The number 16 is the residual, which must be less than the divisor. If it was bigger divisor, the integer N was chosen properly – you need to increase it and repeat the previous steps. Carry to the next digit of the dividend (figure 5) and record it to the right of the number 16. It turned out 165. 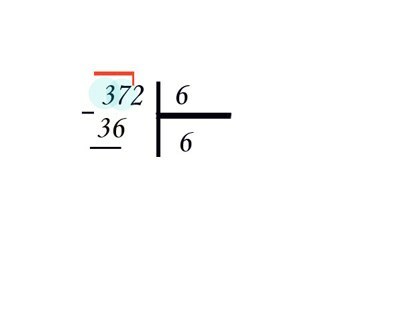 Repeat the third step for the relationship 165 to 55, that is, find the number Q by multiplying the divisor by which the number of turns as close as possible to 165 (but not more). This 3 – 165 is divided into 55 without a trace. Write down the figure 3 the right of the number 2 below the line, held under the divider. This is the answer: a private relationship 1265 55 is 23. Add the dividend to the right of the zero and put a comma after the number 3 in private (the number that can be obtained through division, and is recorded below the line, held under the divider). Carry added in divisible zero (write it on the right of 11) and check if there is a possibility to divide the resulting number by the divisor. The answer is Yes: 2 (let us denote it as the number of (G) multiplied by 55 is 110. The answer is of 23.2.If carried in the previous step zero would not be enough to balance with the finished zero was more of the divider would need to add another zero in divisible and put 0 in private after the decimal point (would 23,0...). 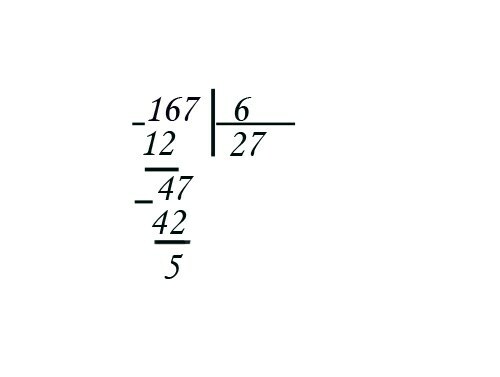 Division in column of decimal fractions.Move the decimal point the same number of digits to the right in the divisor and divisible so that there were integers. Further, the division algorithm is the same. Write down all the numbers strictly under each other according to the stated recommendations is not allowed to make a mistake during the calculations.